It’s been less than two months since Farzi Cafe, one of the most iconic and popular brands under the umbrella of Massive Restaurants, arrived in Hyderabad. The word ‘Farzi’ is commonly used to denote ‘fake’, but Massive Restaurants is using the original Persian meaning — ‘illusion’. 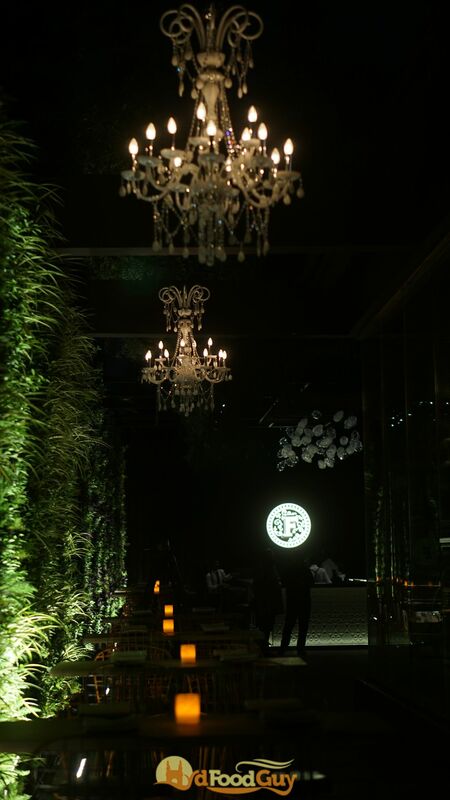 The sense of surprise is a major element of the dining experience at Farzi. 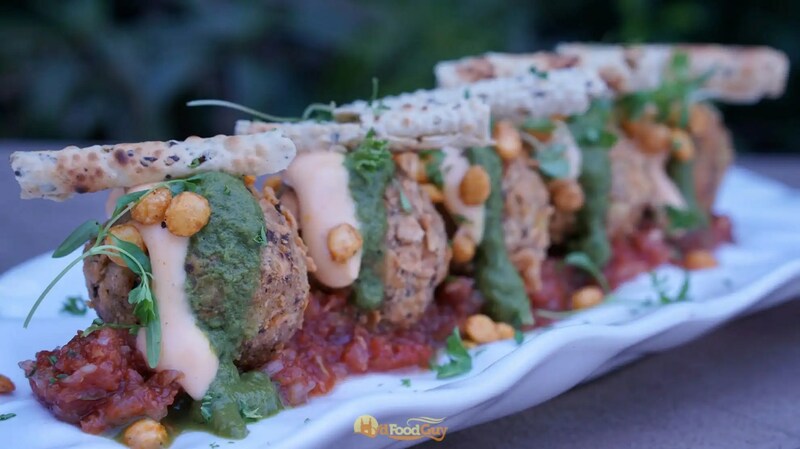 It fuses true-blue Indian flavours with modern sensibilities to create dishes that look jaw-dropping and alien but are instantly recognizable once you take a bite. Like any master illusionist, Farzi likes to play its cards close to its chest. The menu is fashioned after a school notepad and is bereft of any picture or description. If you’ve never dined at Farzi, you might want to avoid ‘spoilers’. However, if you prefer to ‘look before you leap’, read on for my list of must-try dishes at Farzi Cafe Hyderabad. Please note that the below is not a ranking; dishes are sequenced based on where they fit in your meal (appetizers are listed before the main course). 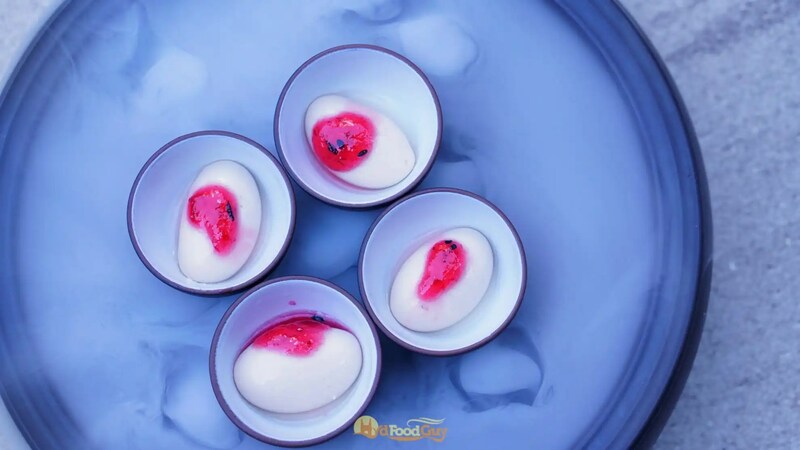 Once you settle in and place your order, you’re welcomed to Farzi with this gorgeous amuse bouche that’s a sign of things to come; bite-sized spheres of Mishti Doi topped with strawberry jelly served in a bed of smoke. A chowder is a soup that usually contains milk or cream and is thickened with biscuits or roux. It is food for the soul. And this chowder with creamy baked corn, bhutta fritters, and wild greens doesn’t disappoint. 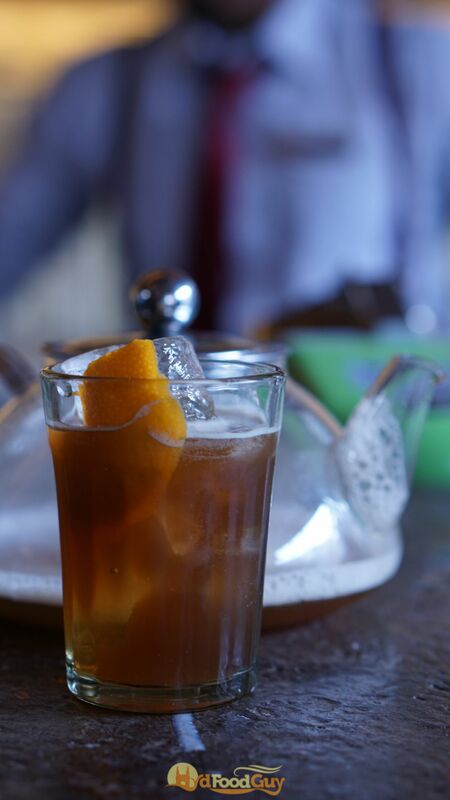 It’s the perfect way to begin a leisurely meal. The Paya at Farzi Cafe is a far cry from the fiery, greasy Old-city favourite. 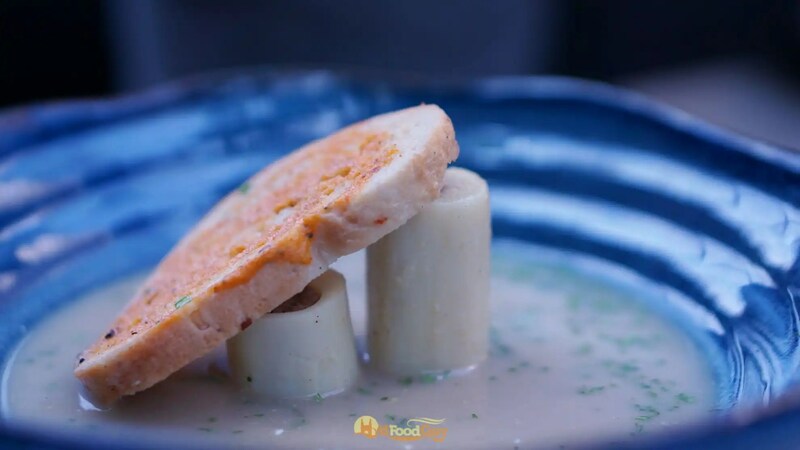 It’s a silky mutton soup served with lamb meat stuffed inside heart of palm that mimics the appearance of a lamb bone. I wouldn’t recommend this to any Paya lover, but it’s worth a try if you’ve always been too scared to try the original. Arancini is a perfect vehicle for fusion experiments. 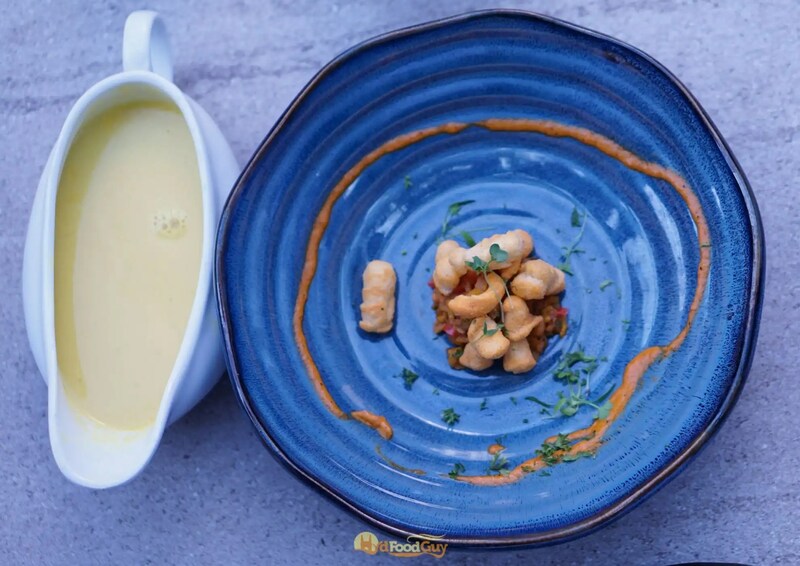 The original Italian version calls for batter fried rice balls stuffed with ragu and mozzarella; however, I’ve seen both good (Curd Rice Aranchini) and bad (Kadhi Chawal Aranchini) versions that infuse this Italian dish with Indian flavours. 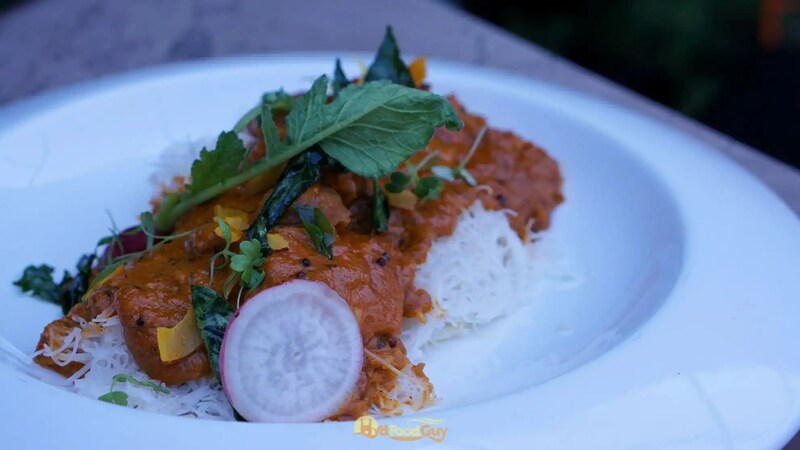 The Dal Chawal Aranchini, however, is the best remix of this dish that I’ve have come across. 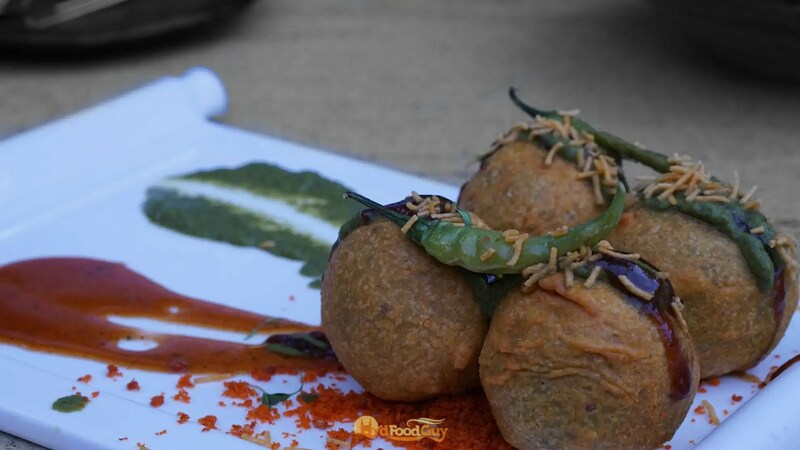 As you bite into one of these deep-fried balls, which don’t look any different from a mundane cheese popper, the familiar desi flavour of dal-chawal explodes into your palate. The sides of Achaar and Papad round off the entire experience. 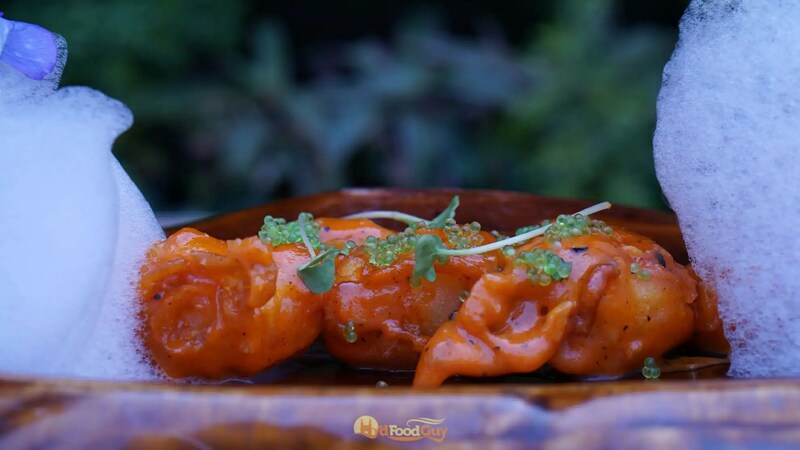 One of the tricks that Farzi loves to play is to serve up typical main course dishes as appetizers. After the bite-sized Dal Chawaal, we were served these. 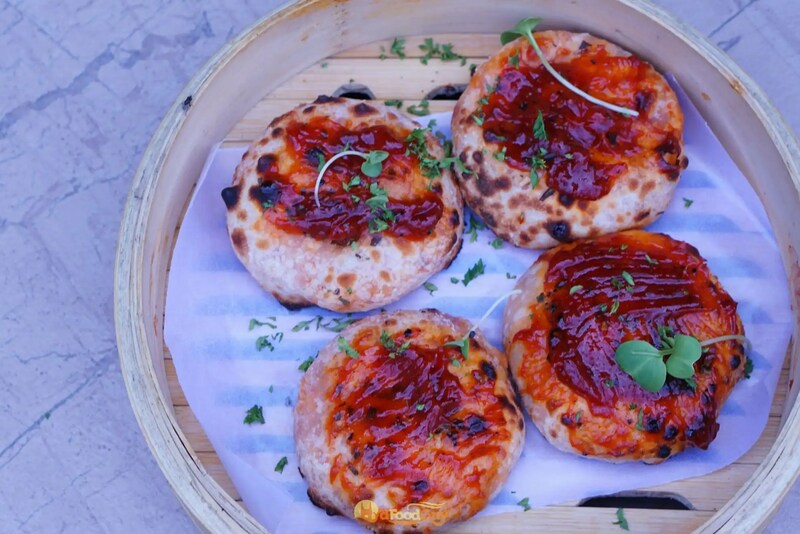 Kulcha stuffed with Mozzarella Cheese and Chilli is shaped like steamed buns, cooked in tandoor, and then slathered with bloody mary ketchup. Non-vegetarians can enjoy the same dish with a stuffing of Kheema that’s quite simply unputdownable. By looking at this dish, you might think you’re only getting the Vada but the illusion becomes apparent once you take a bite. Farzi Cafe has literally turned the Vada Pav inside-out; the bread is inside the Vada. But the truly remarkable achievement is that it still tastes ekdum authentic. 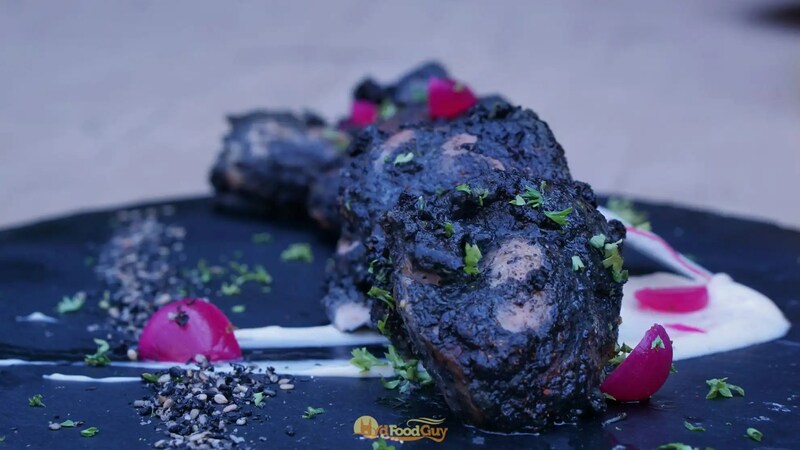 Besides its well-known signatures, Farzi Cafe Hyderabad also has a selection of unique dishes inspired by local flavours. Sikhampuri on Toast takes inspiration from Hyderabad’s Sikhampur Kebab and beautifies it. However, I couldn’t find the pocket of hung curd at the centre that I love to see in a Sikhampur. Surprisingly, there were small bits of egg whites. 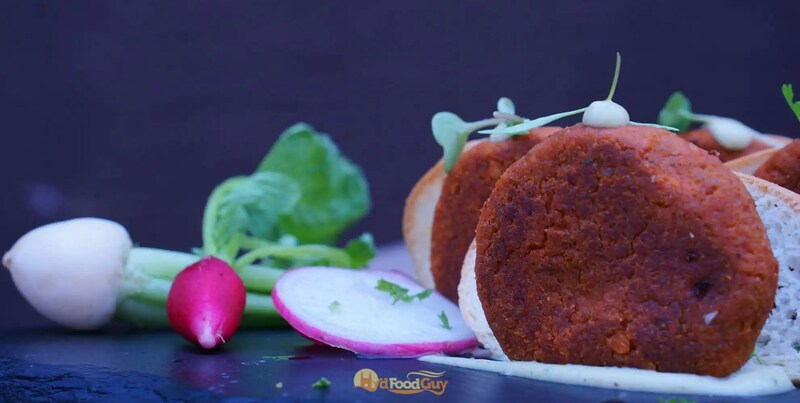 The kebabs are served with crunchy toast and Kothmari cream. Did you know it was the Portuguese that brought Tempura to Japan? When the Portuguese arrived in the island nation, they introduced the locals to ‘Peixinhos da Horta’ which went on to become the famous Japanese Tempura. 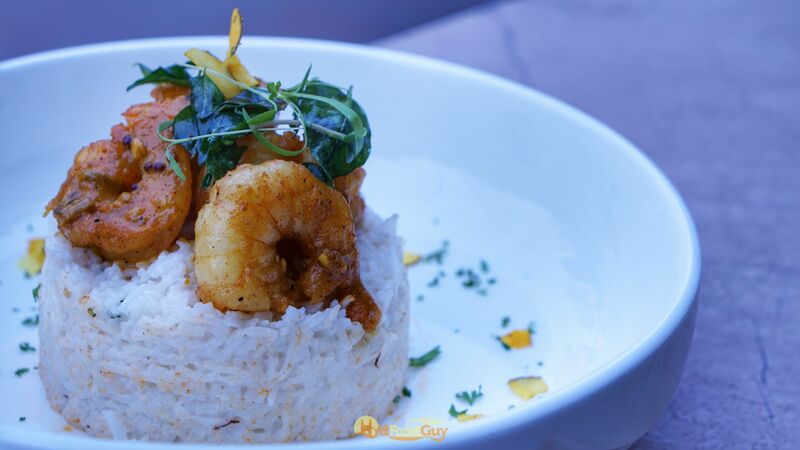 Farzi serves its Tempura Prawns slathered in sauce and accompanied by Nimboo Mirchi Air. 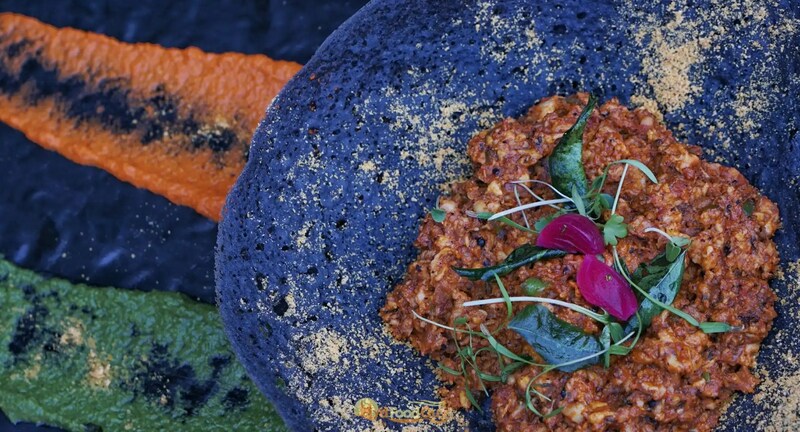 Black is in vogue and has been popping up in restaurants around the globe. Pictured here is Chicken Tikka marinated in a mix of sesame ash, hung curd, and cashew paste. 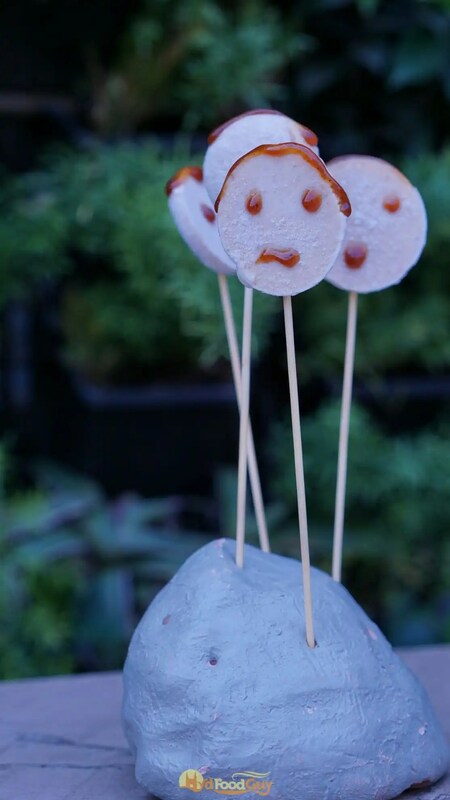 Before you move onto the main course, take a bite of this desi palette cleanser that’ll appeal to the kid in you. Farzi Cafe has plenty of surprises in store for diners; however, not everything dish is #Farzified. 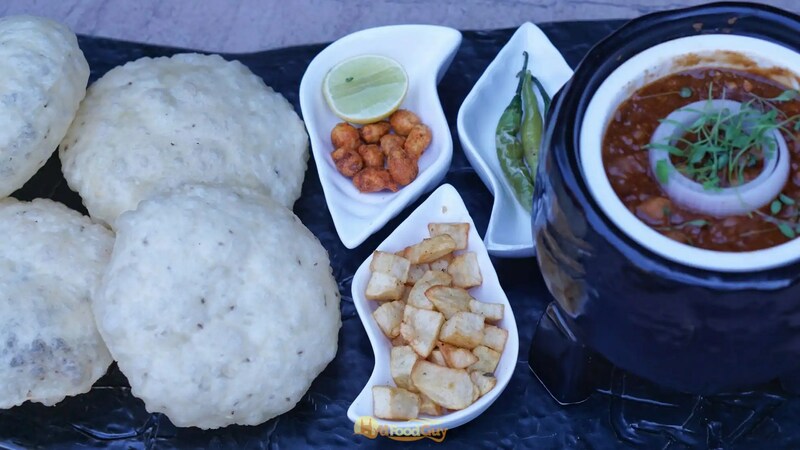 Poori-Cholle is one of those magical combinations that doesn’t really need much tinkering. The Cholle here deserves a special mention; it’s the authentic Delhi style robust and spicy gravy that’s insanely difficult to find in Hyderabad. The Lucchi has been tweaked a bit to make it flaky with a bit of a crunch. 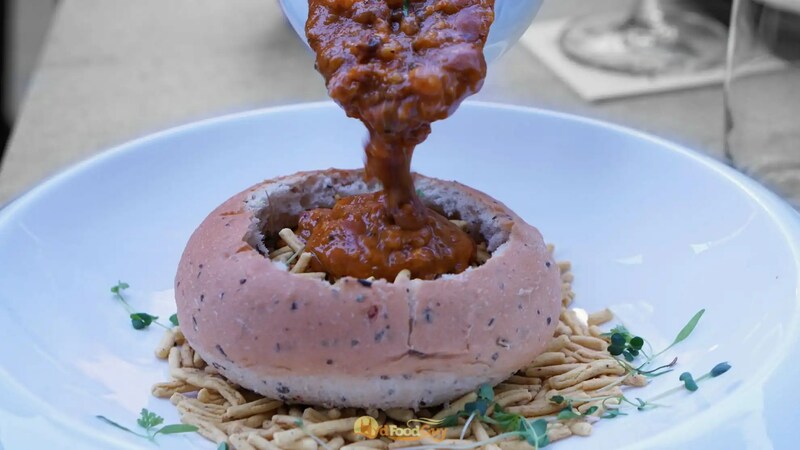 At Farzi Cafe, the good old Missal Pav from Maharashtra is morphed into a Bunny Chow. The ussal curry is poured into buns that have been cut open and then topped up with some sev. As you can imagine from the pic, it’s both wholesome and delicious. However, the Farzified Missal is missing the topping of Rassa and isn’t fiery. Kori is the Tulu word for Chicken, while Gassi means thick gravy. Mangalorean food uses a very distinctive blend of spices and ingredients that make it supremely addictive. The ghee and coconut loaded gravy is served on string hoppers or Idiappam. Risotto is another dish that seems to have become a favourite of experimental chefs in the city. After the Butter Chicken Risotto and Chicken 65 Risotto, we have a Haleem Risotto. Haleem is cooked into almost a sauce-like consistency and mixed with Arborio rice. 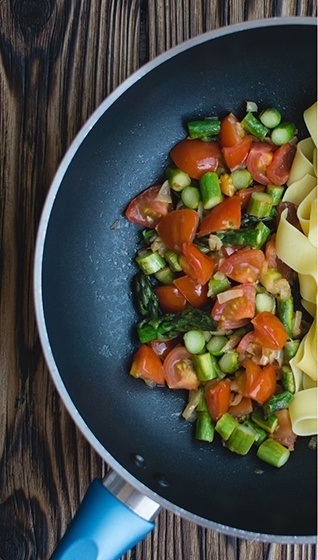 Black and with charcoal – this dish hits two of the buzzwords. The appam batter incorporates coriander and cumin along with charcoal from coconut shell and is served with Bheja Fry. This is a fundamentally different dish than the classic Appam and Stew. The tweaked batter makes the appam brittle and as a result, it can’t be doused in gravies. I suspect that this’ll be a polarising creation that’ll disappoint those seeking the comfort of the familiar Appam but works well as a bar grub. 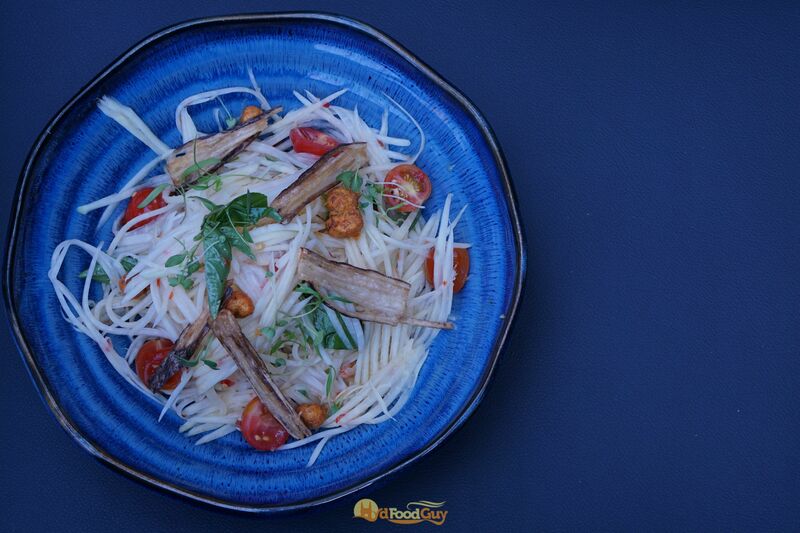 There are two other variants of this dish that are served with Chicken Sukka and Water Chestnut. 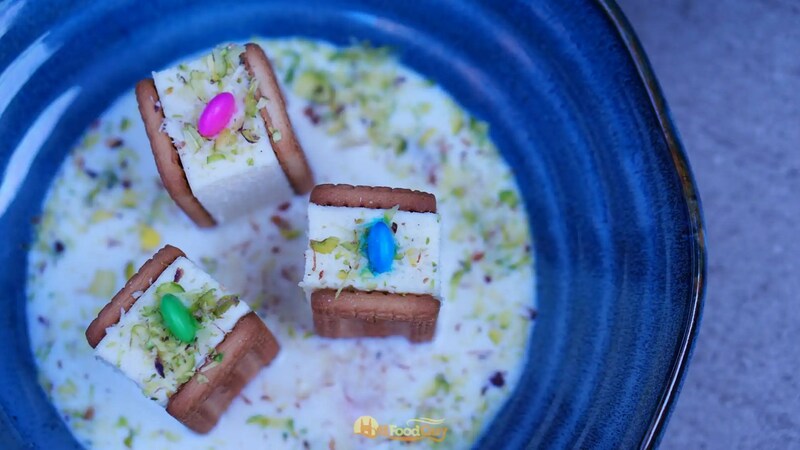 A Parle-G biscuit sandwich with cheesecake served in a sweetened malai syrup and topped with gems. It’s a dish that’s meant to rekindle your childhood memories and love for Parle-G and gems. Unfortunately, I have never liked Parle-G, and over the years my dislike for it has probably only grown. I took a bite of this and moved on to the next dish. However, this earns a spot on the list because of its stature as one of the most famous and well known Farzi Cafe creations. Rasmalai and Tres Leche are two desserts that I absolutely love. So, its little wonder that this was one of my favourite desserts. 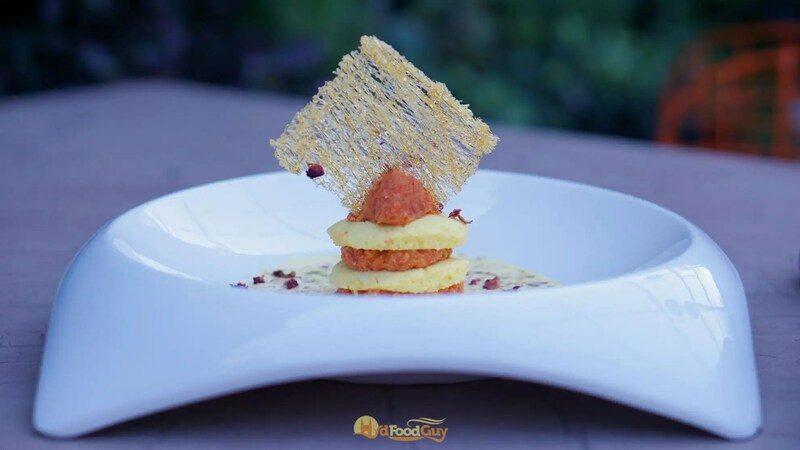 Rasmalai layered with carrot cream and topped with a rose petal net is served in a bed of Tres Leches sauce that incorporates milk in three different fashion. Chenna balls (similar to Rasgulla without the syrup) are placed inside a nest made out of fried Fenni (Indian vermicelli) to mimic eggs in a birds nest. 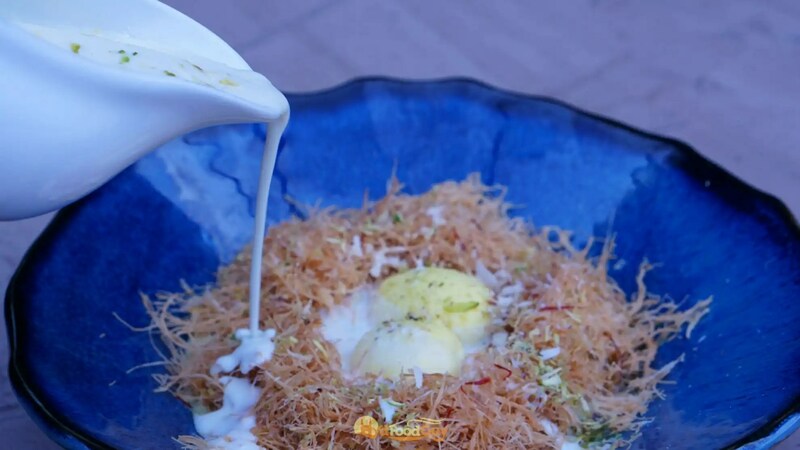 Once the dish arrives at your table, Rabdi is poured from the top to complete the dish. 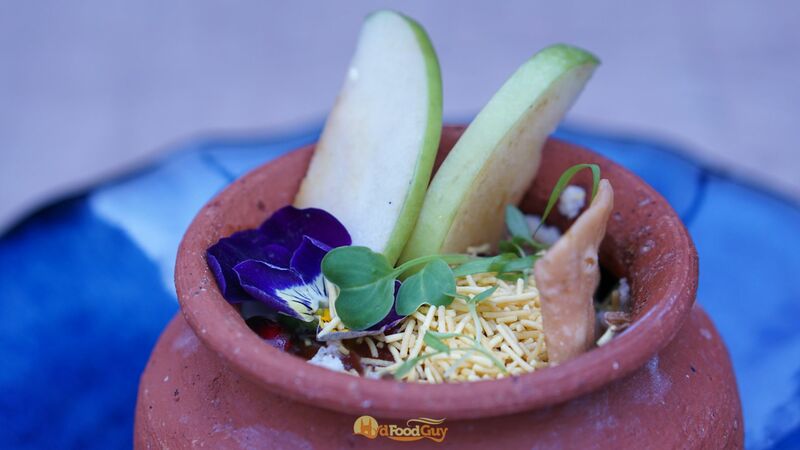 This is another brilliant dessert that’ll please anyone who enjoys the milky, Bengali sweets. This is the perfect dessert for the times when you’ve had a bit too much food or booze, but still, want to finish on a sweet note. 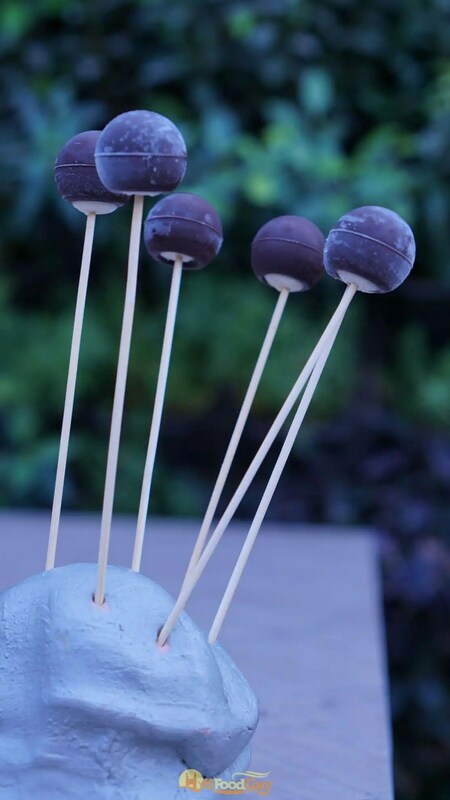 The Bailey’s lollypop tones down the alcoholic pungency of Bailey’s to make it enjoyable for all ages and palettes. 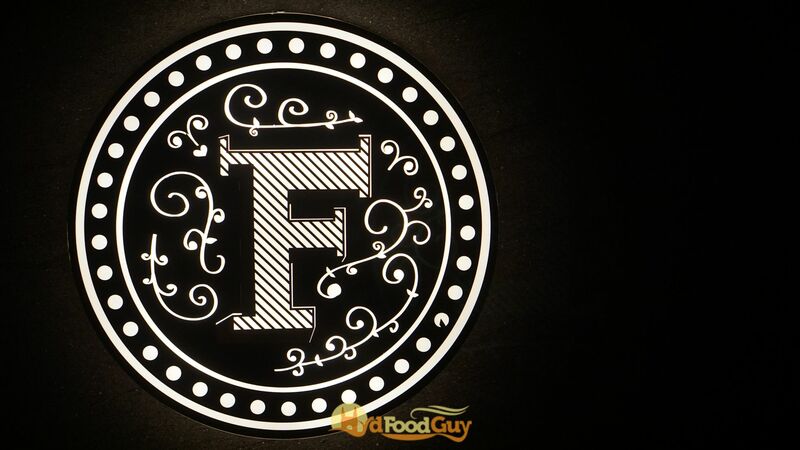 Prior to its launch, the buzz surrounding Farzi Cafe was almost deafening. Soon after it opened, I did hear the word ‘overhyped’ being murmured. However, in both my visits Farzi Cafe managed to justify the hype that surrounds the place. Diners have been flocking to get #Farzified from the day it opened. 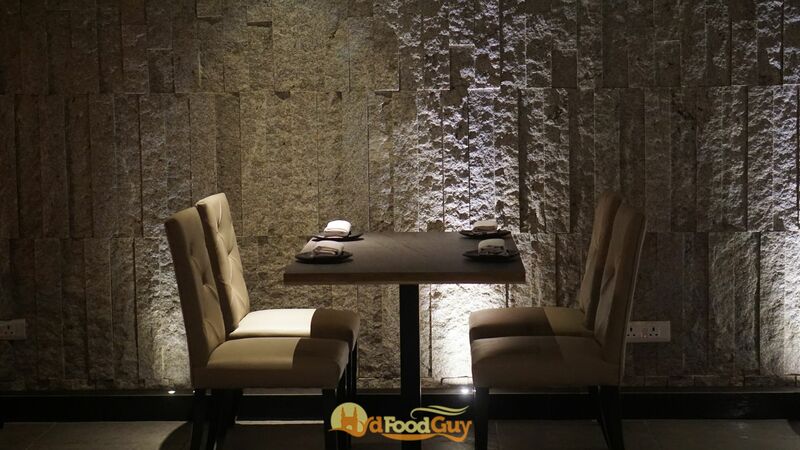 Farzi’s biggest strengths are the dishes that succeed in retaining the authenticity of flavours while incorporating additional elements, including visual gimmicks. If I had to pick my favourites from the above list it’d have to be the Dal Chawal Aranchini, Vada Pav #Farzified, and the Keema Kulcha. These are all dishes that incorporated an element of surprise while staying true to the ethos of the original dish. On the other hand, dishes like the Paya and Missal made me wonder on the value being added by the Farzification. The dishes mentioned above were just a small selection of dishes from the Farzi menu that I tried and found interesting. There’s plenty of more good stuff on the menu for you to explore – from Mini Raj Kachori and Open Dal Gosht to Shawarma Biryani and Butter Chicken Bao. The menu will be updated every quarter so that you always have reasons to keep coming back to Farzi Cafe.